Hi and I hope you are doing well as we await the winter season. Today's card is my second post as guest designer for Little Blue Button Stamps . Take a look at my first project here. 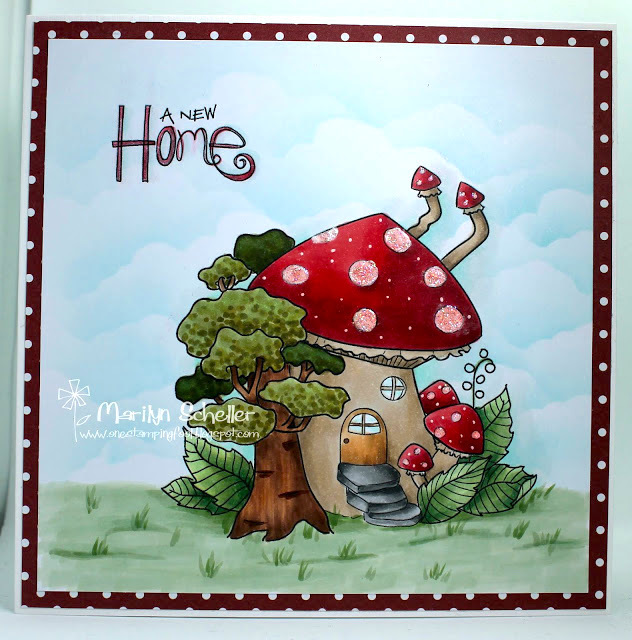 For this card I opted to use the cute Mushroom House digi. This makes the perfect card for a 'Congrats on Your New Home' occasion which is exactly what I am going to use it for because we have some friends who just purchased a new house. My thanks to Olga from Little Blue Button Stamps for inviting me to guest design for the month of November and for the cute images I was given to work with. 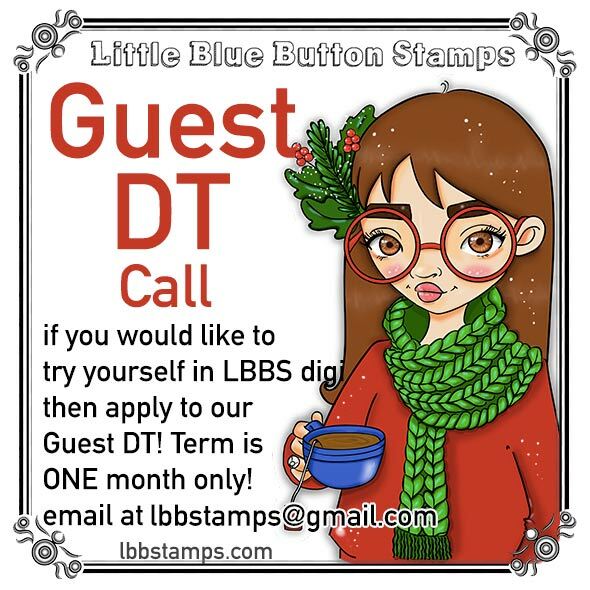 Be sure to drop into the Little Blue Button Stamp store to see all the lovely images and then pop by the Little Blue Button Stamps Blogfor more inspiration. Sophie Getting Ready for Christmas!